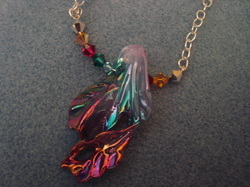 Swarovski crystals at the end. 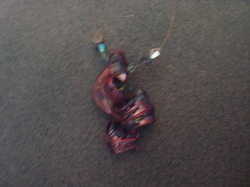 Handmade glass bead in middle. 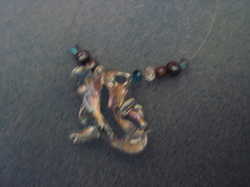 Handmade, lampworked glass bead in the middle. 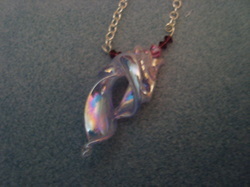 Swarovski crystals on the end. Fresh water pearls on the end. 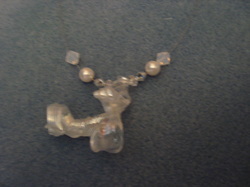 Pearls and Swarovski crystals on end. 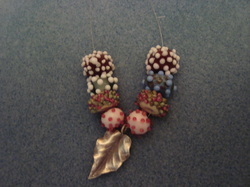 Sterling silver surrounde by handmade, lampwork beads. 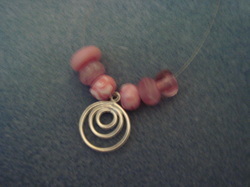 Sterling silver, handmade thailand bead in the middle. 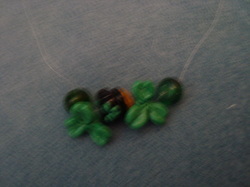 Handmade lampworked beads on either end.